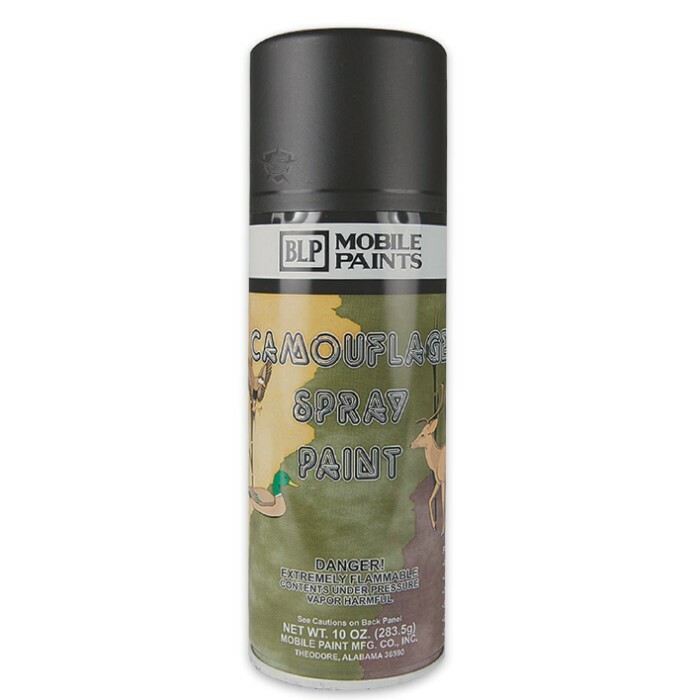 Paint Camo Spray | BUDK.com - Knives & Swords At The Lowest Prices! The Paint Camo Spray is ideal for military vehicle restoration, duck blinds and camouflage covers because it has been designed to U.S. Military standards. This high-quality formula dries to a tough hard finish that resists corrosion and abrasion and easily adheres to most surfaces. It comes in brown/coyote, black and olive drab. It is made in the USA.